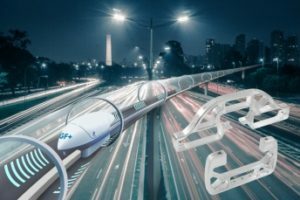 Swiss GF Automotive, a division of GF, is supporting the Swissloop team of ETH Zurich team in building a transportation pod for the Hyperloop project put forward by Elon Musk. Tesla and SpaceX founder Elon Musk’s Hyperloop concept is aimed at creating a new transportation system capable of transporting passengers and freight in pods at speeds of up to 1200 km/h. SpaceX has launched a global competition for universities intended to drive forward the development of the technology. The Swissloop Team of the ETH Zurich is also taking part. As main sponsor, GF Automotive supports the team in developing and manufacturing a lightweight aluminum component of the pod’s chassis. In August of 2017, an expert jury assembled by SpaceX, will decide who will gain admission to the testing circuit in California. More information on the project is available at www.gfau.com.